Valve closed for sophistication, valve open for aggression. 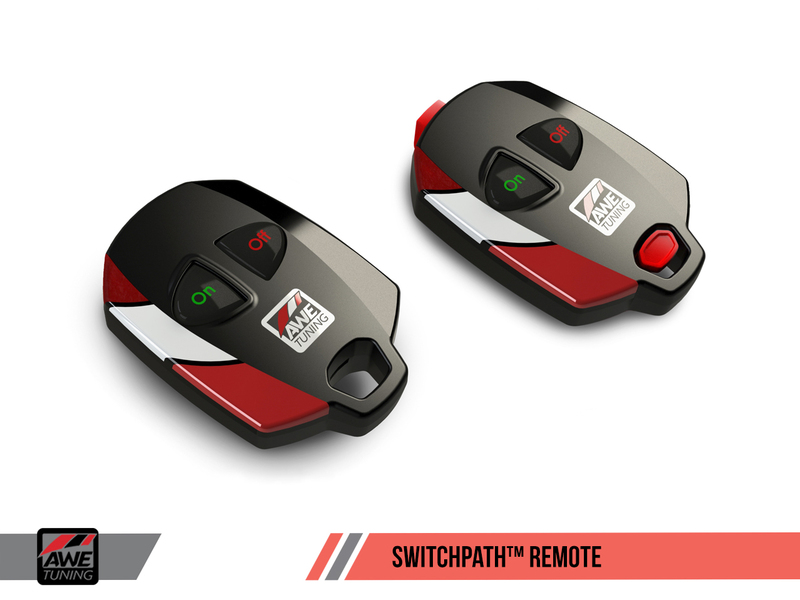 All at the touch of the SwitchPath™ Remote button. Tone at your fingertips. Equipped with a 3” resonated downpipe, a 3” valved straight section on the driver’s side and 2.5” piping with a muffler on the opposing passenger’s side, the AWE Tuning SwitchPath™ Exhaust is capable of changing soundtracks instantly with the touch of the SwitchPath™ Remote button at any time. Drone-free mood control accompanied by addicting, crackling gear shifts and impressive performance. Constant, all-around satisfaction. AWE Tuning Cat-Back Exhaust System B9 A4 Exhausts are crafted from mandrel bent T-304 Stainless Steel that will ensure durability overtime. There are three exhaust options to choose from, single, dual, and quad. Each AWE Tuning exhausts are capped off with stylish 102mm tips which are engraved with the AWE Tuning logos. The tips are double-walled that ensures a mirror polish that will glisten even under the most extreme usage. Choose between the standard Polished Silver or AWE Tuning's recognized Diamond Black plating that will distinguish you from the rest. For non S-Line models an optional valance is available that allows the fitment of AWE Tuning quad exhaust tips. MM6 Mesh Audi Wheels 19"